queen noor | be you. 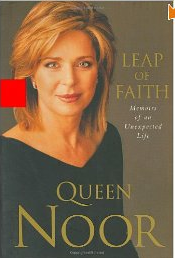 Queen_Noor_of_Jordanjust finished her memoirs – leap of faith. oh my. would love a convo with her. wonder if she knows of bridge over the wadi. even the ones we think don’t. how close do we get, then something small steers us away.